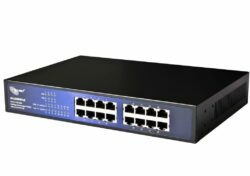 The ALL-SG8310PM is an 8-port 10/100/1000Mbps switch with PoE support on all ports, perfect for segmenting larger networks. It is an excellent choice to provide your network with more performance and efficiency. The ALL-SG8310PM supports the PoE standard IEEE 802.3at on 4 ports with up to 30 watts power per port for the connected PoE devices or the full power according to IEEE802.3af on 8 ports with up to 15.4W. The maximum PoE budget is 150W. The ALL-SG8310PM uses the existing LAN cabling for the power supply. 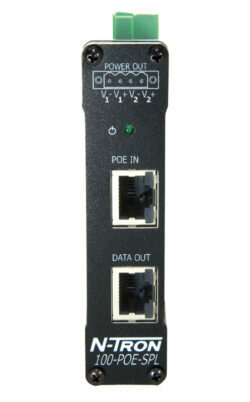 This facilitates the installation of PoE devices such as Kiss Boxes, I/O Interfaces, WLAN access points, IP cameras, VoIP telephones and much more.The PoE ON/OFF function allows the administrator to conveniently reset the devices remotely by switching off the PoE power supply for each individual port. The ALL-SG8310PM offers an excellent solution for expanding your Gigabit network. 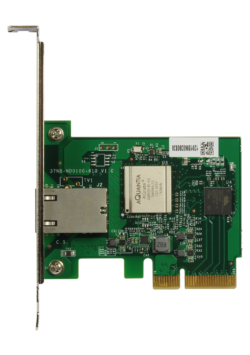 With Gigabit speed, this product offers high flexibility and bandwidth for connectivity to servers, workstations and other connected devices. It also supports 9.6K jumbo frames for better network utilization, which greatly improves the transfer of large files. The ALLNET ALL-SG8310PM is equipped with many management and security functions for all modern communication scenarios. 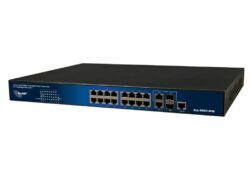 IGMP Snooping, Tagged VLAN, Quality of Service, Port Trunking, Flow Control, Storm Control, Link Aggregation, IEEE802.1x, SNMP v1/ v2c and Spanning Tree are only a small excerpt from the extensive functional portfolio of the ALL-SG8310PM.